Choosing the right insurance cn be daunting. so many choices are out there! And the exchanges seem to make the process more complicated, at least for the next 3 months. Communication between physicians and patients is crucial to delivering high quality medical care. 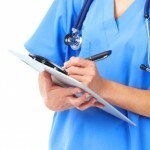 However, it is the experience of most patients that communicating with their physicians has become more difficult. Doctors have been talking about shared decision-making by patients with physicians for over a decade, at least since the Institute of Medicine reported “Crossing the Quality Chasm” in 2001. But for you to have your voice heard in making decisions about your own health care, doctors must be giving you honest and complete background information about your condition, and be discussing the pros and cons of proposed treatments. A friend who works as an actor in health dramas is also a patient and a caregiver for an ill parent. We discussed the relevance of TV depictions of medical care and real-life health care issues.